Do you love papercraft already? Or maybe you are searching. You want to get started making cards, scrapbook pages, your own flowers and more. Maybe you are looking for crafty techniques, tips and new idea. Come in and explore. There are lots of ideas here that I would love to share with you. There is plenty both for the beginner and for the more experienced or avid crafter to try. I'm an avid crafter myself. You can find out more about me on my About PaperCraftCentral Susan page. Handmade papercraft projects can bring you and the lucky recipients of your gifts and greetings such pleasure. Hand made cards and crafts are my passion. 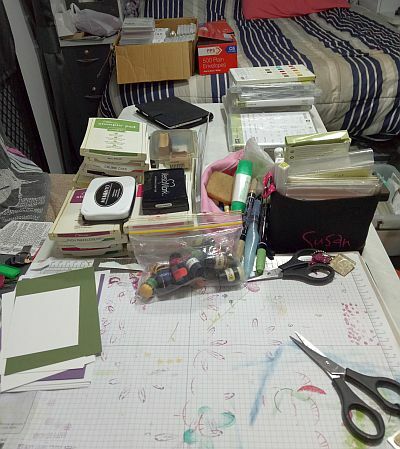 When I hear about new materials to try, new techniques to test, and find more people who love papercrafting, it is exciting to me. It's a wonderful, warm world to explore and I do a lot of that. There is so much variety and possibility with this hobby and it is sometimes hard to find information about how to get started, or how to use new supplies or play with new techniques. I collect useful and fun hints and tips to help both beginner and more advanced papercrafters. 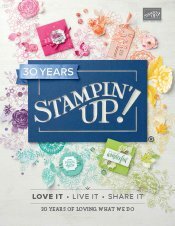 If you are a new stamper, you can take advantage of some of my stamping tips and of course, so much more. I always post new projects on the 'What's New' page. Click on the tab over to the left in the navigation bar to see what I have been making recently or to check on page updates. I hope you like exploring here too. Enjoy! Have you seen something here but can't remember where it was? Good news! Are You a Subscriber to Paper Twists yet? Subscribe today by clicking on the subscribe box in the right hand navigation bar at the top of the page. It's free! I invite you to explore your own creative possibilities right along with me. Watch for new, free ideas and information about materials and projects, here at Paper Craft Central. I hope you have fun with paper wherever you are too. And if you want to know a little more about me, read my story here.